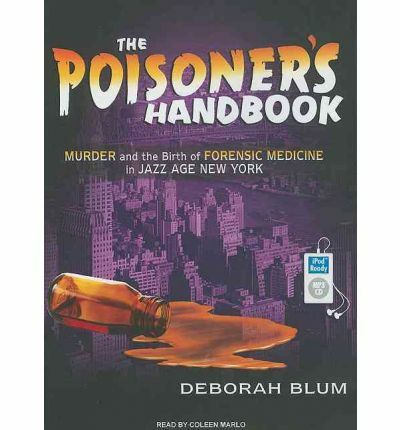 About the Author: Deborah Blum is a professor of science journalism at the University of Wisconsin. She worked as a newspaper science writer for twenty years, winning the Pulitzer Prize in 1992 for her writing about primate research. She is the author of Ghost Hunters and coeditor of A Field Guide for Science Writers, and she has written about scientific research for the Los Angeles Times, the New York Times, Discover, Health, Psychology Today, and Mother Jones. She is a past president of the National Association of Science Writers and serves as the North American board member of the World Federation of Science Journalists. Coleen Marlo is an accomplished actor who has appeared on stage, in film, and on television, and is a member of the prestigious Actors Studio. She also taught acting for ten years at the Lee Strasberg Theatre and Film Institute. An AudioFile Earphones Award winner, Coleen has been awarded three Listen-Up Awards from Publishers Weekly, including for Third World America by Arianna Huffington and The Poisoner's Handbook by Deborah Blum. She has also earned three Audie Award nominations, winning for Snakewoman of Little Egypt by Robert Hellenga. Publishers Weekly has named Coleen Audiobook Reader of the Year for 2010. Note: the structure of this mp3 audio book is mp3-cd. This means it will only play on computer systems with CD-ROM or DVD drives or CD players that are equipped to play mp3-cds. It can additionally be copied from a computer to an mp3 player like an ipod sandisk rockbox sony or similar player.